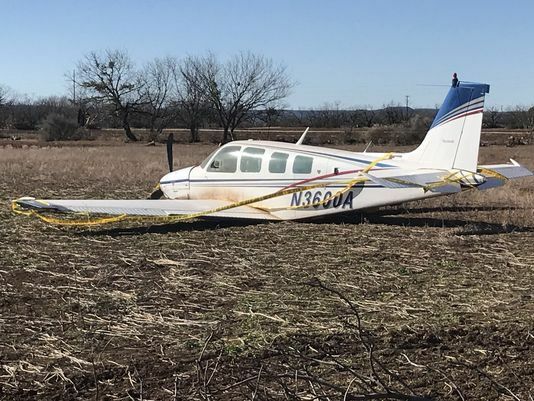 On January 22, 2018, at 0845 central standard time, a Beech A36, N3600A experienced a total loss of engine power during climb after departing from Abilene Regional Airport (ABI), Abilene, Texas. The private pilot then performed a forced landing to a field near Abilene, Texas. The pilot sustained serious injuries and the airplane sustained minor damage. The airplane was registered to and operated by the pilot under Title 14 Code of Federal Regulations Part 91 as a personal flight that was operating on a visual flight rules flight plan. Day visual meteorological conditions prevailed at the time of the accident. The flight originated from ABI at 0835 and was destined to Sierra Blanca Regional Airport (SRR), Ruidoso, New Mexico. The pilot stated that upon level off at cruise altitude, there was a "severe vibration" from the engine compartment followed by a sound of the engine "coming apart." Oil covered the windshield and the smoke entered the cockpit. The pilot stated that he was unable to return to ABI due to its distance from his position and attempted a forced landing to Dyess Air Force Base (AFB), Texas. The pilot was unable to attain Dyess AFB due to the airplane's altitude. 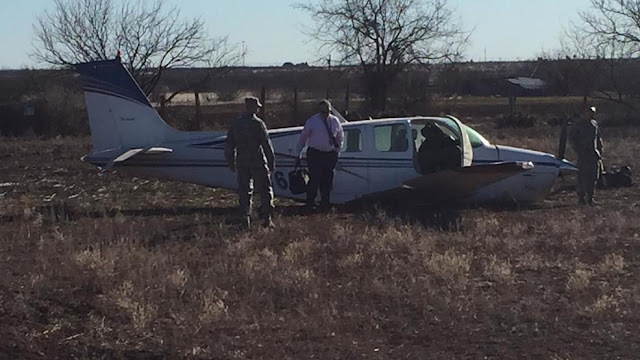 The pilot performed a forced landing to a field about one mile southwest of Dyess AFB with the landing gear and flaps retracted. Post-accident examination revealed the engine was intact with all the accessories attached. A large hole was observed in the left crankcase half over the number two-cylinder attachment point, and a small hole was observed in the right crankcase half over the number five-cylinder attachment point. Cylinders two, four, and six were Continental cylinders and had chrome markings. Cylinders one, three, and five were ECI cylinders. The number 2 main bearing shifted in the bearing saddle, which cut off the oil supply to the number 2 rod cap bearing. The number 2 connecting rod separated from the connecting rod journal on the crankshaft. The number 2 rod journal on the crankshaft was very dry and partly melted. The number 2 rod cap bearing was melted and most of it was found in the oil sump. The engine logbook had an entry dated January 23, 2015, at a tachometer time of 4,173 hours, for the removal and replacement of the number two cylinder. The most recent entry for disassembly of the engine, as part of an annual inspection, was dated February 12, 2016, at a tachometer time of 4,299.6 hours and 1,796.0 hours since overhaul. The entry states, "#4 and #6 cylinders were removed due to exhaust leaks." The mechanic who performed the annual inspection dated February 12, 2016 performed the most recent annual dated February 9, 2017, at a tachometer time of 4,442.7 hours. The tachometer indication at the time of the accident was 4,501.0 hours.